The Tai O Fishing Village in the Western coast of Lantau Island is a quaint and picturesque village, with the traditional stilt houses predominant of the old Southern Chinese fishing villages, one of the few remaining places where you can still see them in Hong Kong. With its pretty setting on the coast framed by the mountains, and all the activity surrounding the harbour, the traditional seafood market, and the daily life in the stilt houses, it is a photographers dream and definitely worth the trip from Hong Kong. If you are already visiting the Big Buddha, then it is a short bus or taxi ride, about 15 minutes. 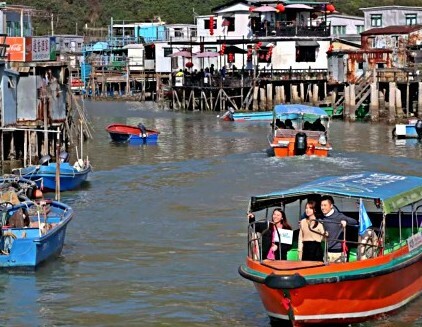 You can easily spend a couple of hours in the Tai O Fishing Village, just walking around the market and taking one of the small boats that take you around the harbour and the stilt houses for a close up view. Tai O used to be a very important trading and fishing port, but this is a thing of the past as the younger generations have moved out. 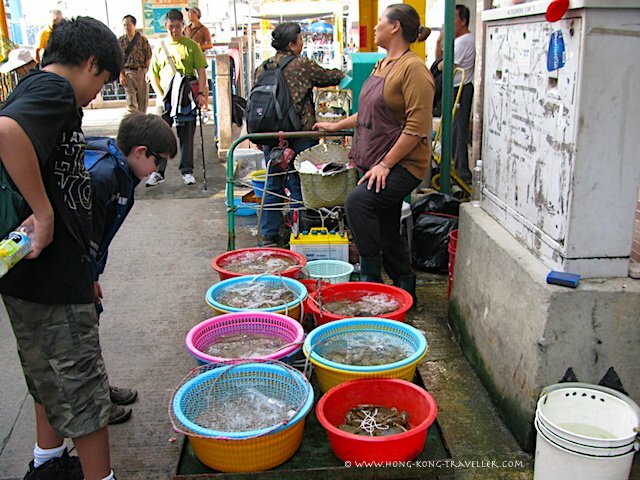 You can still see the old folks making a living the old traditional way at this lively market which remains one of the favourite places for locals to buy their fresh and dried seafoods and the shrimp paste which is famous of this area. 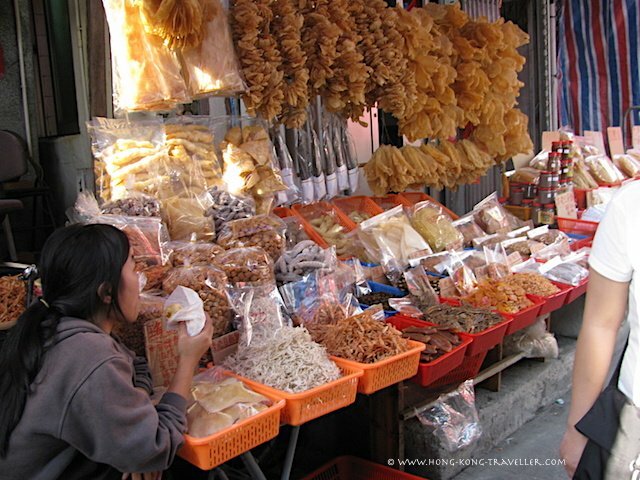 The market is a feast for the eyes, perhaps not the nose, but make some time to stroll through the stalls and alleys and check out the live seafood tanks, the vast array of dried seafoods and vegetables, some you may or may not recognize, knick knacks, and souvenirs. Boat rides are offered by the locals and you will have no trouble getting on one. 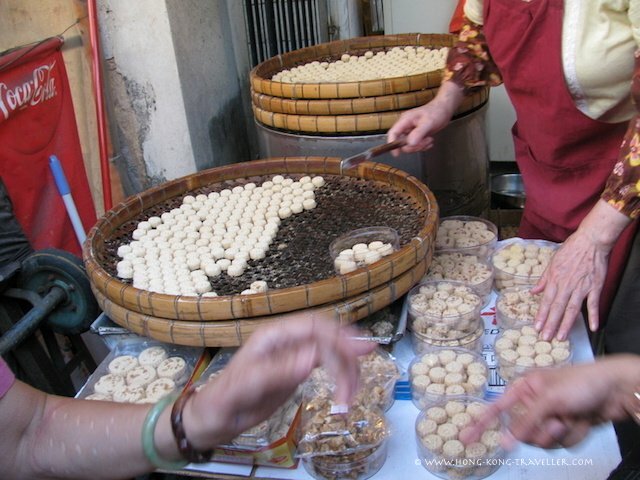 The rides are short, about 20 minutes, and you will find somebody peddling their services as soon as you get off the bus or as you walk around the market. 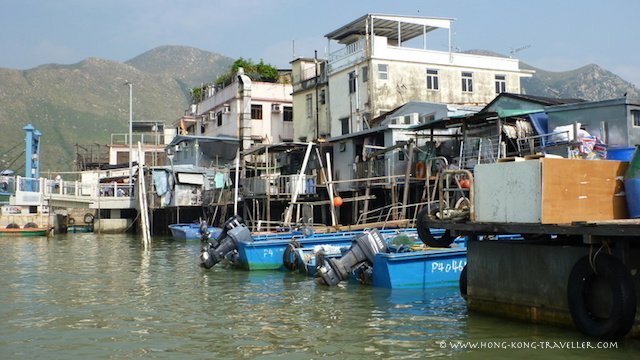 The Village of Tai O is built partly in a tiny island off the mainland of Lantau. The only way to get to this side was with a ferry pulled by rope by the Tanka women. There is now a footbridge that crosses the narrow canal. Prices for the boat rides are of course negotiable, but expect to pay about HK20 per adult, half per children, the bigger your group, the more leverage you have. We ended up paying HK140 for our group of 10, which is about how many the boat takes, around 10-12 people. There are many points from which the boats depart including the bridge and the main marina, but all the boat rides cover the same main spots. Our ride took us first for a look at the Stilt Houses . The small traditional-style old houses sit along the waterfront in the estuary and are somewhat protected. There are also cafes and restaurant alongside and some old house boats. 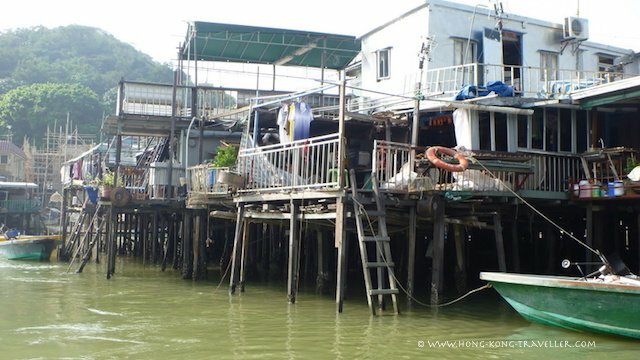 Nowadays, with fishing in decline, tourism seems to be Tai O's drawcard, the Stilt Village is a big attraction. After riding around the stilt village, the boats then head out to the harbour and open seas. 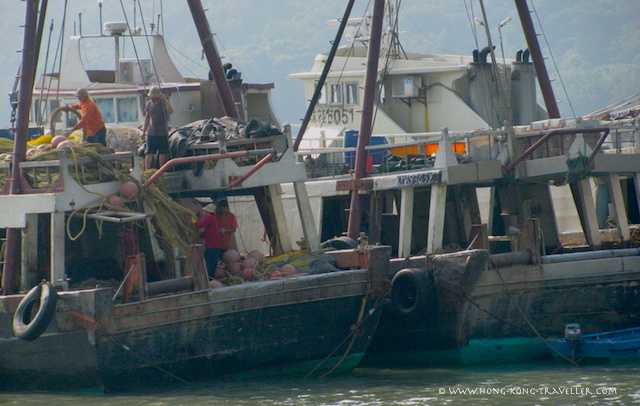 As you cruise along the harbour, you will see traces of what this active fishing port used to be. The fishermen coming and going and cleaning and putting away catch and gear. 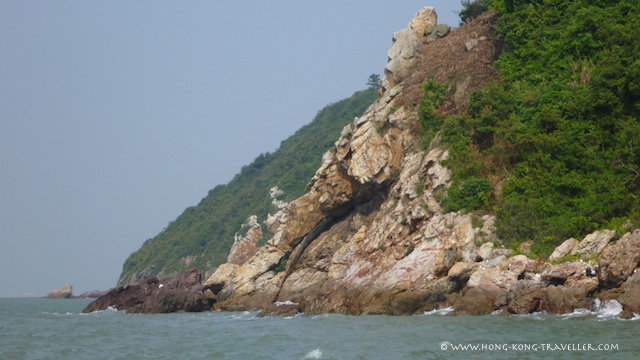 Tai O was an important fishing port, traces still exist. 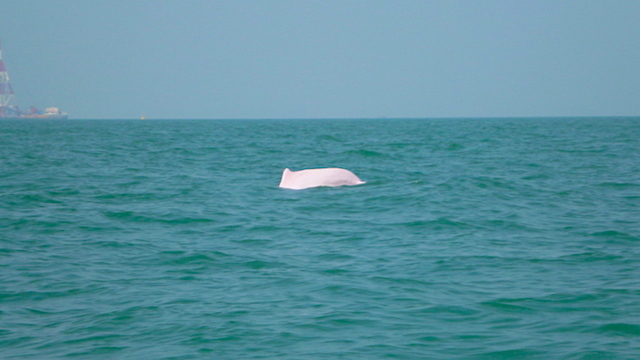 There is also a chance you might spot one of the rare pink dolphins which are known to inhabit the area during your boat ride. The Pink Dolphins are an endangered species and with no wonder, these waters have to be some of the harshest conditions for them to exist. Here is more on the Pink Dolphins and the Hong Kong Dolphinwatch, a group actively working to protect the dolphins and which offers trips to see them conducted in a way that minimizes disturbance to the dolphins. 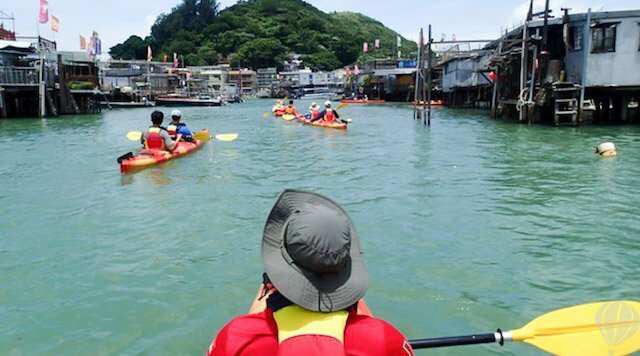 It is all arranged in this guided excursion which includes all sea kayaking and safety equipment, one guide for every two participants and lunch. 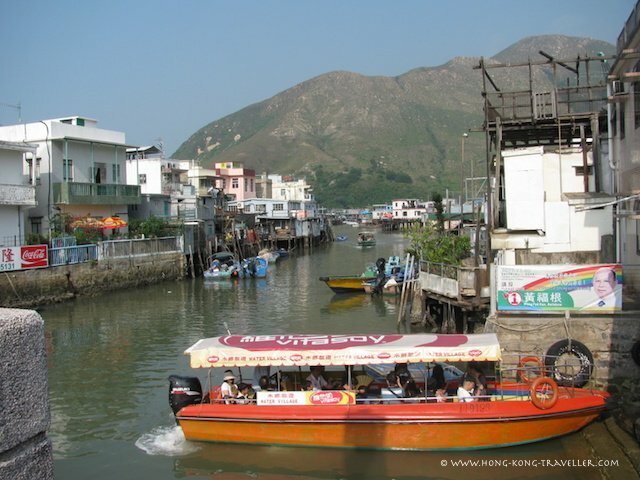 Tours depart daily from Tai O Bus Terminal at 10:00 a.m. Cost depends on number of participants, minimum 2, group of 2-3 HK 750 (US$100) each, group of 4-7 HK 575 (US$76) each, group of 8+ HK 460 (US$61) each. This Kayak excursion is suitable for beginners. 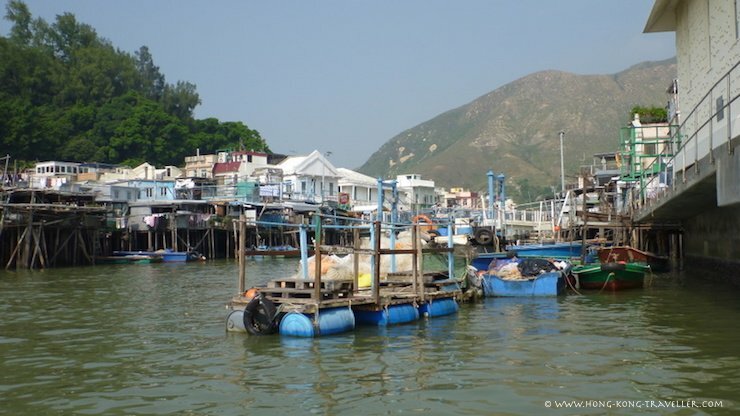 How to get to Tai O Fishing Village? From the Ngong Ping Village, take bus 21 which leaves about every hour or so. Sometimes the bus fills up quick, instead of waiting for the next one, consider a taxi, the stands are right next to the bus stop. The taxi ride costs about HK50. From Central, take the ferry from Central Pier 6 to Mui Wo, then Bus No. 1 to Tai O. From Kowloon, easiest is the MTR to Tung Chung Station, then Bus No. 11 to Tai O. See our Lantau Island Day Trip page on how to combine a visit to Tai O with other Lantau Island Attractions like the Big Buddha and the Ngong Ping 360 Cable Car in one easy DIY tour using all kinds of public transport. This is a great option for those that want flexibility with a little guidance. The guided portion of the tour starts in the Ngong Ping Village and takes you to Tai O where you also get to visit a traditional stilt house, you also visit the Big Buddha and Po Lin Monastery. That means you make your way to Tung Chung on your own and ride the Cable Car to Ngong Ping. Tung Chung is an easy MTR ride away from either Island side or Kowloon. You have plenty of free time to explore before taking the Cable Car down when you are ready to head back. For the Cable Car you can opt for the Standard or Crystal Cabin. Tours depart at: 11:15am, 12:15pm, 1:15pm and on Weekends and Public Holidays also at 2:30pm from the Li Nong Tea House (Ngong Ping Village Shop no. 8) so you have to allow ample time to get there with the Ngong Ping Cable Car, try to be at the Tung Chung station at least one hour before your alloted tour time. 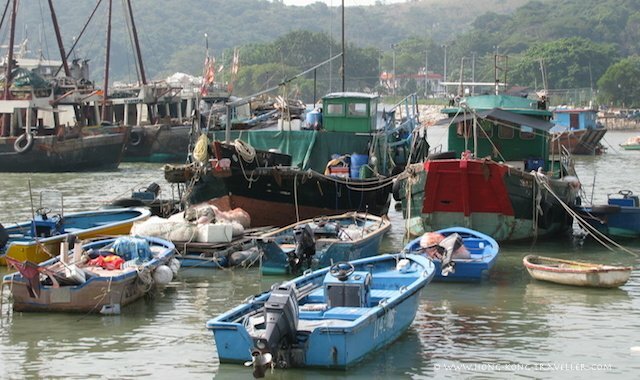 This is an all-day tour that makes the best of Lantau Island, including a stop at Tai O Fishing Village. 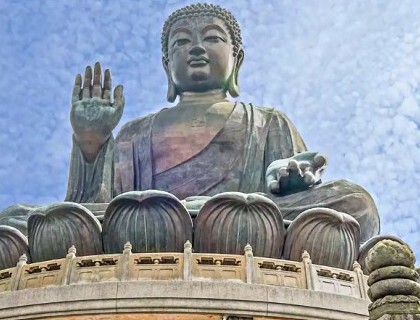 This day trip to Lantau Island will take you to some of Hong Kong's pristine beaches, traditional fishing vilages, lush valleys, soaring mountains and spiritual enlightenment. 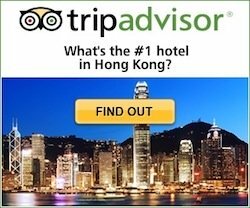 The tour lasts approximately 8 hours with pick up points at several Hong Kong and Kowloon hotels. Ngong Ping cable car journey from Ngong Ping Village to Tung Chung town. 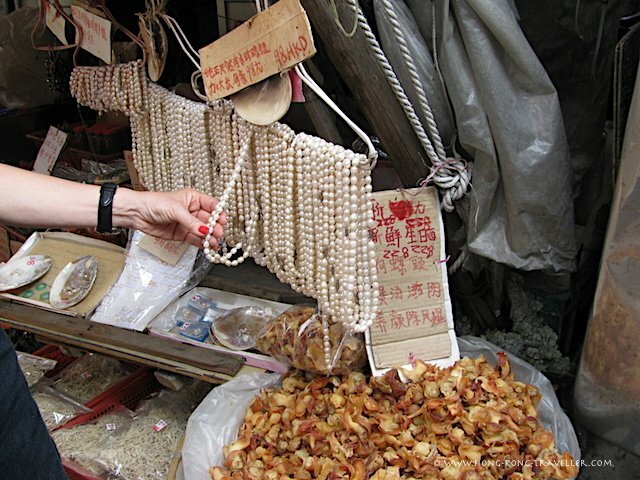 Tai O is still very much a quaint fishing village, but things are changing fast. 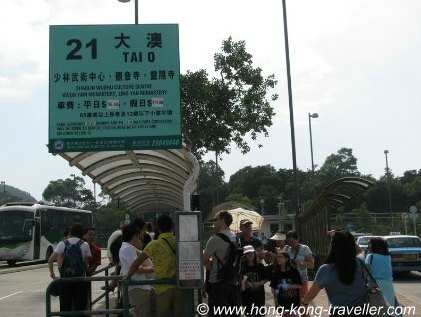 With new transportation options that makes Lantau Island so much more accesible and the new influx of tourists to the Ngong Ping area, Tai O will not escape the inevitable phase of development that is bound to come sooner or later. Seems like sooner is more like it, so better hurry and take a chance to see it as soon as you can! The Dragon Boat Festival in Tai O is quite an unique event, organised by three local Fishermen Associations. The celebrations include a water parade in which the temple deities are carried in colorfully decorated sampans pulled naturally by dragon boats, and all along the way, the local residents burn incense and paper offerings to the deities in this most traditional of celebrations. Following the parade, the dragon boat races are held to "entertain the gods" and the deities are returned to their temples. 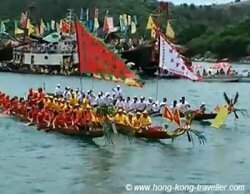 Normally held in May or June, here's more on this year's Dragon Boat Festival and the Tai O Water Parade.